Either I was too busy to laugh this week or everybody on my reading list was extremely serious. But I still got some lemmings and several writers did a wonderful job reviewing my favorite perfumes. Or maybe it’s because of the Memorial Day long weekend? My weekend was productive: I almost finished everything I planned to do; spent some money to support the economy and time with friends – just to have fun. Did you do anything interesting? It’s not a true lemming for me since I tried this perfume already but since after reading Suzanne’s (Eiderdown Press) story about memories conjured by April Aromatics Bohemian Spice I felt an urge to test it more I thought I’d share this one with you. This one is kind of lemming… By Kilian Musk Oud announced on NST. Two perfumes from the Arabian Nights collection that I tried on skin – Rose Oud and Amber Oud – I liked despite my general uneasy relationship with agarwood. So I want to try this new one – and I probably should finally get to try Insense Oud – though I almost hope not to like any of these two: it’s enough I’m thinking about buying Amber Oud, I don’t need another real lemming at that price point. I keep repeating everywhere how much I love Neela Vermeire Creations‘ Bombay Bling! I know that most of you have tried it already and read many reviews of it. But you should still read Lanier’s (scents memory) take on it: it’s definitely more than just a review and I think you’ll enjoy the story even if you know the perfume really well. Steven (The Scented Hound) gives his highest approval (5 out of 5 possible bones) to a vintage Samsara by Guerlain. I’ve tried only modern version (see my post Déjà vu, Episode 3: powdery fruit vs. peony oriental vs. sandalwood jasmine) but I still like this perfume and wear it from time to time. If you haven’t read it yet, take a look: Kafka wrote a beautiful-beautiful-beautiful review for my all-time favorite perfume Amouage Ubar. Have you ever seen an Arabian horse running? It’s an object of awe and grandeur, from its tiny, delicately chiseled head with those vividly intelligent eyes, to its hugely curved, muscular neck, its perfect, lithe body, and its perpetual grace that puts all prima ballerinas to shame. Ubar to you Undina! You are very supportive of the economy and many other global endeavors. Thank you, Jordan – I’m doing my best. I did my fair share to support the economy as well this weekend. Those clearance racks didn’t stand a chance. I don’t get lemmmings for the Kilian scents anymore thankfully. I’ve tried enough to determine that overall its not a brand that works for me. I’m sure there is at least one By Kilian that I might really like but I haven’t found it yet. 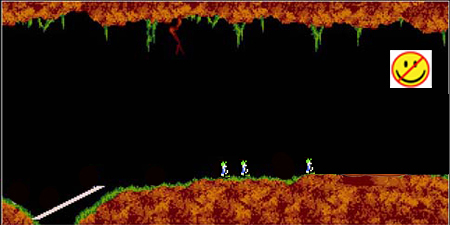 That being said, I have lemmings for plenty of others that are at a painful price point. You’re right about Kafka’s Ubar review. I ordered a sample right away. :) Your all-time favorite? Now I really can’t wait for it to arrive. I hope you’ll like it. But I prefer it in colder weather so I’m not sure how well it works in summer. It’s good to hear you supported the economy this past weekend, Undina. :D I mainly enjoyed the beautiful weather we had here, and am glad I did, as I think we’re in for a rainy week now. I also made it a point to wear some of my true-blue perfume loves (Chanel 22, MFK Absolue Pour le Soir, Robert Piguet Fracas parfum) and was tempted to put on some Ubar after reading Kafka’s gorgeous review. Ah, will get to that one later this week! Thanks for the link love. I hope you enjoy some more testing with Bohemian Spice! If he’s willing, try some on your vSO, too. The weather is great here as well: warm but not hot, sunny. I like it like that. I will test Bohemian Spice on my vSO – don’t think he’ll mind (at least testing, when it comes to wearing he’s more picky :) ). It’s OK.It would have been boring if we were a 100% match. But we’re really close – so it’s OK.
You’re really kind, Undina. I’m glad I could do your favorite some justice. Well, I don’t know… It’s on your skin it behaves in heat ;) But I still might try it – just out of curiosity. HA! Excellent point and well taken, my dear. I do have extremely peculiar skin (and disparate tastes). LOL! That description of Ubar is beautiful. It makes me want to re-smell Ubar!